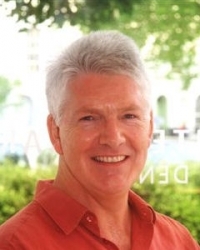 Bob Brazenall has over 20 years experience placing implants and more than 30 years doing complex prosthodontics. He has lectured and tutored on occlusion, sedation, implantology, practice management and case presentation. He has completed a wide variety of postgraduate training in many disciplines including: prosthodontics, periodontics, orthodontics and sedation. He has also attended many courses, master classes and conferences related to Implantology, both in the UK and abroad. Bob has been an ADI member since its inception and was FGDP Southwest Chairman (Wessex Group) through the 1990s. Patients just beginning to think about dental implant treatment may find it helpful to attend a complimentary preliminary consultation with Dr Brazenall. This appointment does not include a clinical examination and it only takes 15 minutes. The discussion will help you consider the options for treating your dental problems and decide whether to proceed to a clinical consultation for implants. The preliminary consultation is free of charge for visitors enquiring through this website. Please use the button in the right hand column to request an appointment. Once you have decided in principle that you want implant treatment, the next step is a clinical consultation. This includes a comprehensive oral examination, and results in production of a fully-costed individual plan for your treatment. The fee for the clinical assessment appointment and provision of your personal treatment plan is £167 including X-rays. Anything from advice to complex surgical and restorative rehabilitation. Help with case planning. We have a referral pack that we send to colleagues and practices which contains all the information and admin data for the referral of patients. General dental practitioners are encouraged to undertake the restoration phase of the implant treatment for their own patients in straightforward referred cases. Bob Brazenall is an ADI training mentor, currently the only one in Devon. His practice is accredited by the Royal College of Surgeons for Implant surgery and is equipped with an operating microscope with video for training purposes. Contemporary Dental is a private practice, set up in 1994 as centre of excellence for Exeter area. It has a core of general practice with particular emphasis on complex restorative, cosmetic and implant dentistry. Referrals have been taken for many years for both non-surgical and surgical cases. Many clients also self refer, both for implant and cosmetic work.